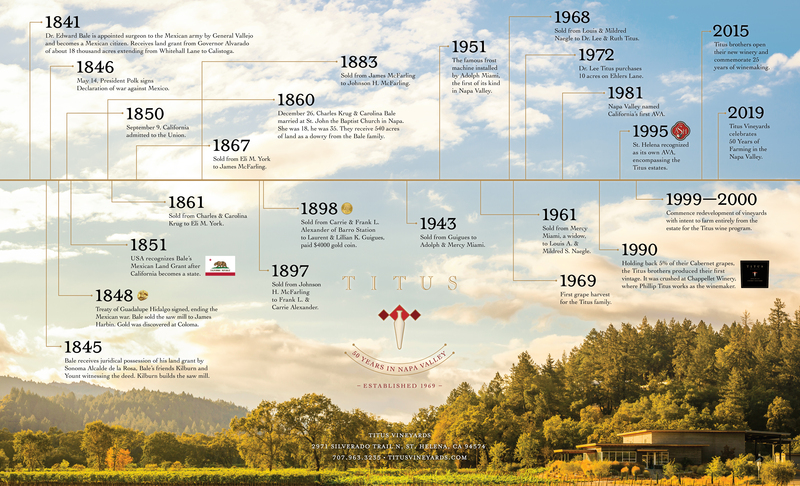 To commemorate Titus Vineyards 50th anniversary of farming in the Napa Valley, we commissioned the St. Helena Historical Society to do a timeline on the family's Ranch Estate. They were able to document the original ownership of the property back to 1841. Click on the timeline to enlarge.